Things got a little weird while I was taking these photos. I wanted to go for the classic Christmas look and have beautiful, elegant photos, but of course I ended up doing silly things with the presents. Sometimes standing and smiling can get boring, so why not stick presents on top of your head...right!? My favourite photos however, are the ones where my cat makes a guest appearance. We always call her a little diva, so its no surprise she wanted front and centre in my photos. 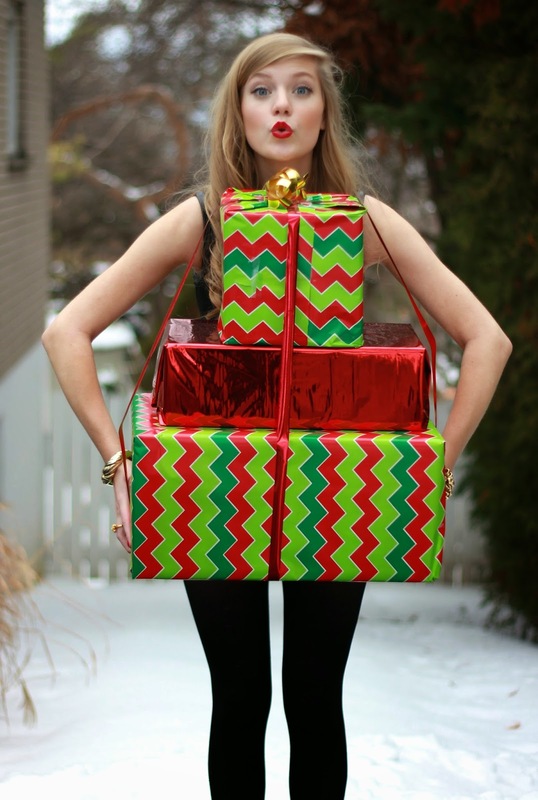 I decided because these presents are full of colour, sticking with an all black outfit would be wise. Thanks for stopping by, I hope everyone is close to finishing their Christmas shopping!! So nice pictures doll and you look very pretty!